Chris Crane, head of the immigration officers union, was pulled out of a Senate press conference today when he tried to question Sen. Chuck Schumer during the televised roll-out of the 844-page immigration rewrite. While reporters asked questions, Schumer ignored three requests from Crane, who sought to question him about aspects of the far-reaching law, which promises to tighten enforcement of immigration laws at borders, airports and seaports. “Will you take a question from law enforcement?” Crane asked, repeating the question twice before being removed. Schumer ignored the question, and repeated his advocacy for the bill. 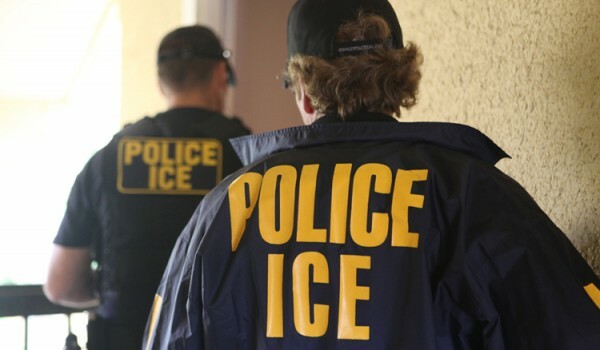 Crane’s union represents agents of the Immigration and Customs Enforcement (ICE) service. Schumer and the other Senators have struggled to control the debate about the bill, which was released this week after months of closed-door drafting. Supporters are now trying to win Senate approval of the far-reaching bill by June.